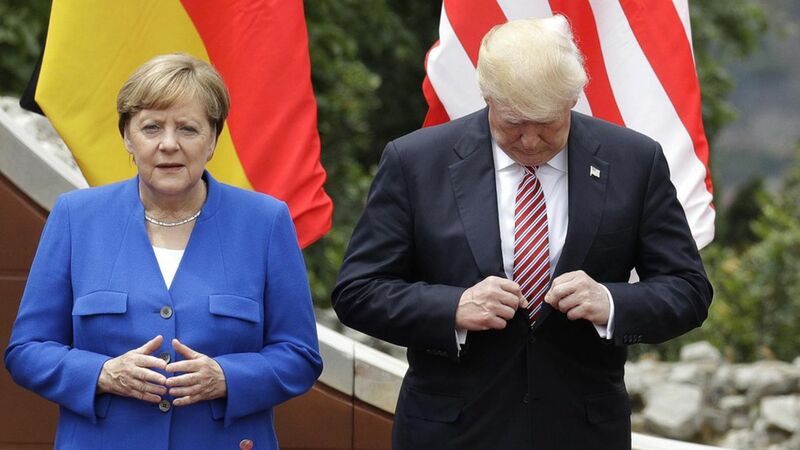 After spending time with President Trump at the G7, German Chancellor Angela Merkel has concluded that the United States can no longer be relied upon as a security blanket for Europe. Merkel's comments foreshadow a transformation of the U.S.-European alliances that have underwritten post-WWII stability. What's behind this: Trump publicly lectured NATO allies that they must stop shirking their financial commitments and begin paying for their own defense rather than relying on the U.S. While the White House publicly rejects this interpretation, Trump's unmistakable message to Europe on his first foreign trip was that the days of unquestioning protection from the U.S. are over. Europe "must take its fate into its own hands" faced with a western alliance divided by Brexit and Donald Trump's presidency, Merkel told a crowd Sunday at an election rally in Munich, southern Germany. While Germany and Europe would strive to remain on good terms with America and Britain, "we have to fight for our own destiny", Merkel went on. Special emphasis was needed on warm relations between Berlin and newly-elected French President Emmanuel Macron, she said. "The times in which we could completely depend on others are on the way out. I've experienced that in the last few days." What's next: Trump unsettled Merkel by making the U.S. the only G7 nation to refusing to reaffirm the Paris Accord on climate change. We scooped yesterday that Trump has told confidants he's planning to exit the Paris deal. With Trump there's always the caveat that he could change his mind...But based on my conversations over the past 24 hours, I expect EPA Administrator Scott Pruitt will present a detailed withdrawal plan to Trump and Trump will act on it.